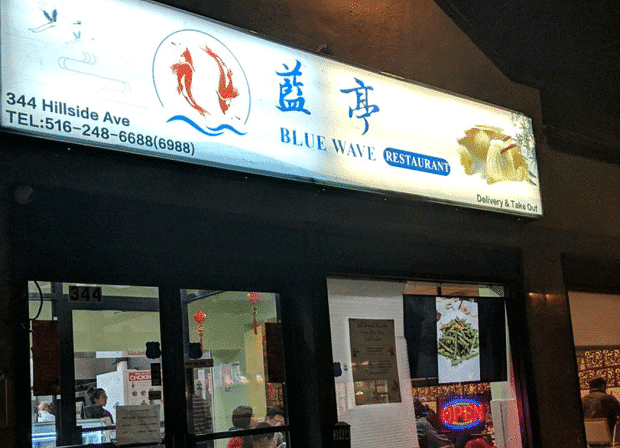 We must really love Chinese food because on January 21st, we ventured out to Blue Wave Restaurant, located at 344 Hillside Avenue in Williston Park. For those of us that opted to block it out of our minds, January 21st, 2019 was the coldest day in four years. The temperature outside was ten degrees below zero with the wind chill factored in. In fact, it was so windy, my car door almost snapped off the hinges from the arctic blast. Walking into Blue Wave that night did not really create the toasty atmosphere that we were after. I guess the heater was fighting with the outside cold, and I’m pretty sure the heater was losing the battle. 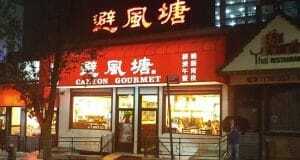 We made due with some piping hot Chinese tea, and proceeded to order dinner. As we settled in, our waitress brought to the table a free snack to enjoy while we were pondering the menu. I refer now to Exhibit A – store bought fried noodles that looked like they were purchased from Restaurant Depot. Scanning the menu, and looking around at the Asian customers, I got the feeling that this was a pretty authentic Chinese restaurant, with almost a “Flushing” feel. The noodles did not go with the place. Half kidding, I said to the waitress that possibly we could do better with the free snack offerings. She walked away laughing to herself and came back with Exhibit B – peanuts. 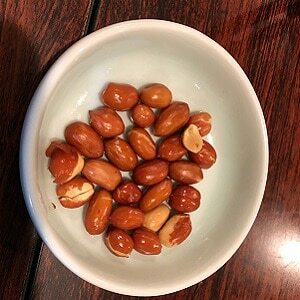 Serving peanuts at the onset of a meal is a common practice in Chinese restaurants in Southeast Asia. I was happy that I spoke up and maybe earned some street cred at the same time. The decor is pretty plain, not sure much money was poured into the place. 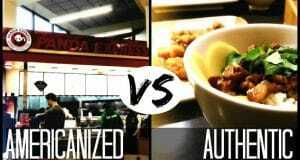 The owner and wait staff were really fun and friendly. The restaurant does not have a liquor license so it is BYOB. You might want to check it out on a warmer day; I literally saw my own breath when I made a pit stop to the bathroom. 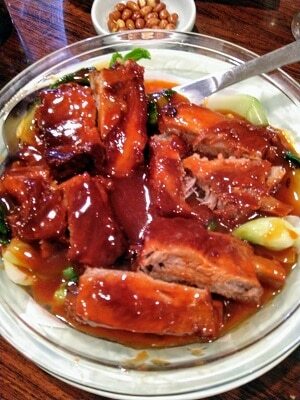 WUXI RIBS – the ribs were a nice mix of traditional Wuxi style and standard ribs, on the sweet side served with bok choy. The meat fell off the bones. A great dish for starters. 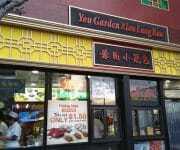 SOUP DUMPLINGS – this restaurant offers free soup dumplings with dinner. 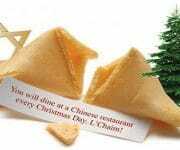 Giving away soup dumplings seems to be the latest thing with Chinese restaurants. I guess the Chinese version of Donny Deutsch decided this was a good marketing strategy. 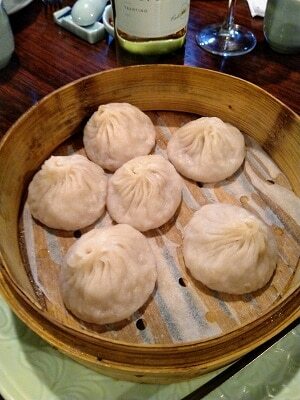 We had free dumplings at You Garden Xiao Long Bao in Bayside. The Bayside dumplings were much tastier than these, but heck, free is free! SCALLION PANCAKES WITH BEEF – I would love to meet the guy that decided to put beef in with scallion pancakes, he definitely deserves the Nobel prize! I had this at a few places and it never fails to excite my taste buds, a must order. 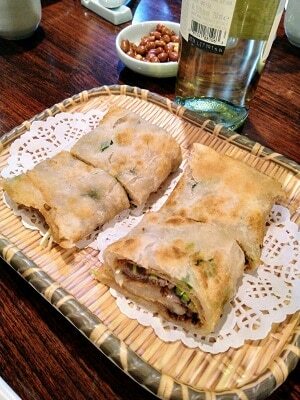 Great Chinese finger food with scallions and crunchy beef in a pancake. SHANGHAI STYLE SOUP WITH HAM & PORK BELLY – this was the perfect night to order soup. 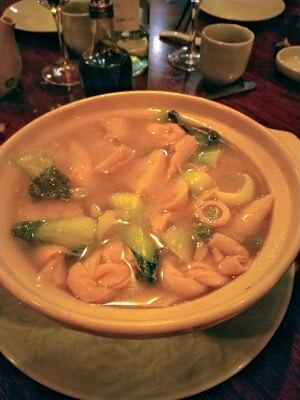 It was served piping hot with a nice chicken broth, bok choy, spiral tofu noodles, and big pieces of pork shaped liked freaking Napoleons. YUM!! 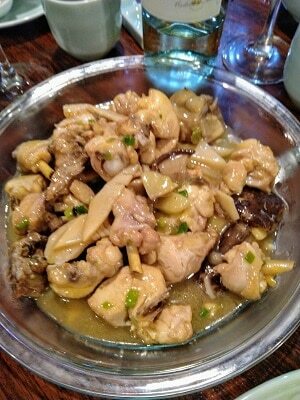 SAUTEED CHICKEN – chicken with mushrooms and ginger, really delicious. 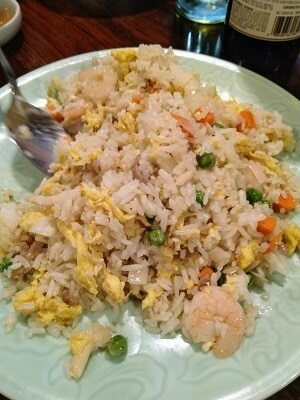 YOUNG CHOW FRIED RICE – standard Young Chow with the veggies, nice version. 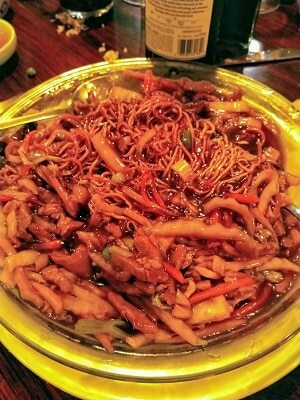 PAN FRIED NOODLES WITH PORK – thin noodles in a brown sauce. I was hoping for a very thick noodles, but my Chinese isn’t the best. This dish was very tasty though. 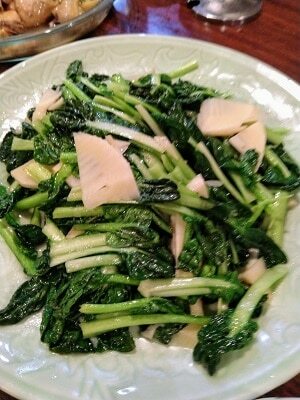 SAUTEED CHINESE SPINACH – excellent vegetable dish served with baby bamboo, gotta love those Chinese veggies! For dessert, they prepared us something special. 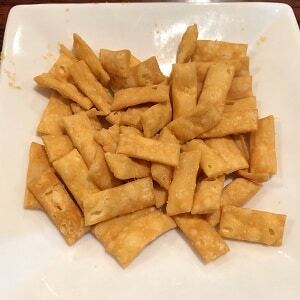 All those karma points we earned when we asked for peanuts and not the American Fried Wonton Noodles, were paying off! 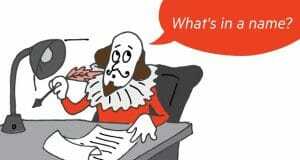 Now comes the audience participation part of our Review. The Manager wrote on my notepad what this was in Chinese, along with the English transliteration. But alas, as I was wrapping up this Review, I used that paper to wrap up some whitefish. 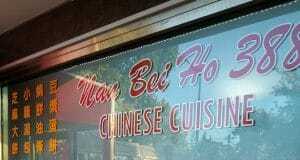 I enjoyed this restaurant, but I probably would not make the journey from Suffolk county just to eat there. I think it deserves another try in a different month, when staying warm is more important than the food in front of you. 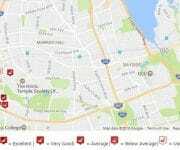 A shout out to all of you Nassau county people, give it a try and let us know what you think? 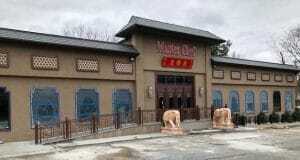 Blue Wave Restaurant, a Shanghainese Chinese restaurant, recently opened in Williston Park, NY. 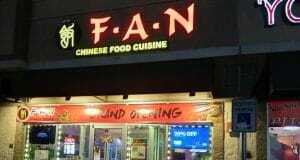 The spread of authentic Chinese restaurants is continuing in Long Island, and The Chinese Quest was there to review it. 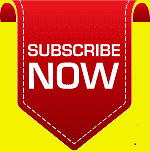 Click to read our review, and please post your comments about Blue Wave! Previous: GUNG HAY FAT CHOY! The Year of the Pig! 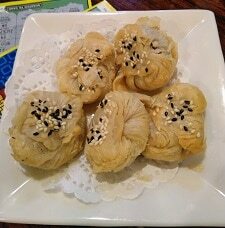 I believe that’s red bean puffs, if they’re indeed desserts.